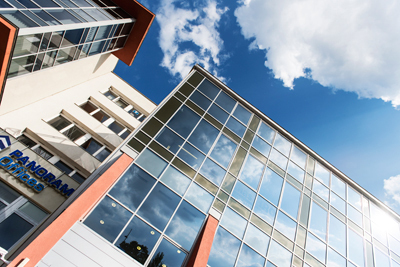 Panorama Offices is the only Category „A” office building in Székesfehérvár. Quality, reliability and predictability in the long term are guaranteed by the Dutch SNOEKS REAL ESTATE investment group. 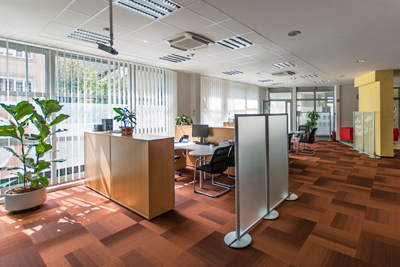 Due to the creativity and fairness of Dutch people, along with the top category offices and shops to rent in the city centre our tenants are also provided with a wide range of services and customized solutions. The appropriate proportion of natural and artificial light in the 2.70 m high offices provide an eye-friendly workplace for all our tenants. Besides the highly wear resistant wall-to-wall carpet, there is also an IT network installed in cable channels with 2 or 3 sockets per room. 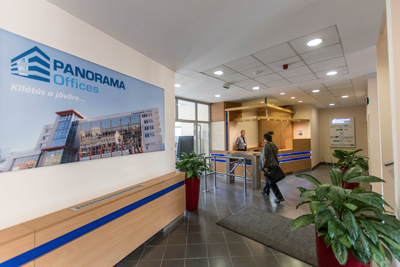 Panorama Offices is the only "A" class office building in Székesfehérvár. The building offers a fully equipped, multi -functional event hall which can be used by our tenants to organize any type and size of events for their office workers or their clients. Add. : 8000 Székesfehérvár Rákóczi u. 1.